Hygienic valves are essential equipment for processes requiring safe and sanitary conditions. Industries such as food, cosmetics and pharmaceuticals must abide by the UK’s stringent hygienic standards. To meet these standards, hygienic valves are a vital part of any CIP or COP process where products must be fit for human consumption. As part of our hygienic equipment range, BM Engineering supplies hygienic valves in order to provide processes with the highest levels of cleanliness. Constructed from stainless steel with polished surfaces, our hygienic valves boast a range of additional features for enhanced functionality. The two chief products of our hygienic valve range are hygienic butterfly valves and hygienic ball valves. One of our more popular hygienic products is the hygienic butterfly valve. Hygienic butterfly valves are trustworthy pieces of CIP equipment, due to their reliable features and versatility. As such, hygienic butterfly valves can be used in almost any process industry. Manually and automatically actuated hygienic butterfly valves can be applied to most liquid products, in industries ranging from food processing to chemical industries. In addition to standard hygienic butterfly valves, we also stock variants such as sandwich butterfly valves and double butterfly valves. Sandwich butterfly valves perform a similar function to standard valves, except their tailored design has the benefit of easy installation and removal – without needing to separate pipes. Double butterfly valves such as LBV (leakage butterfly valves) valves are engineered to easily separate chemicals, preventing any accidental contamination or merging of products. For high-pressure applications dealing with viscous fluids, we recommend hygienic ball valves. Providing a sturdy and reliable seal, hygienic ball valves offer completely unobstructed flow, regardless of the pressure received from the supply source. Hygienic ball valves can be actuated automatically with actuators or manually with a handle. They are most effective in sanitary processes, such as those found in the cosmetic or chemical industries. All hygienic valves supplied by BM Engineering come from industry leaders, INOXPA. Manufactured to the highest standards, INOXPA hygienic valves routinely meet EHEDG and FDA requirements. 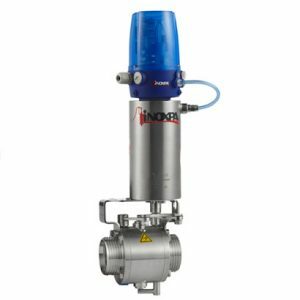 However, with a long history of providing hygienic valves to the process industry, INOXPA’s reliable reputation is their biggest seal of approval. INOXPA hygienic valves are manufactured from AISI 316L stainless steel, and feature EPDM gaskets produced in line with FDA 177.2600 standards. 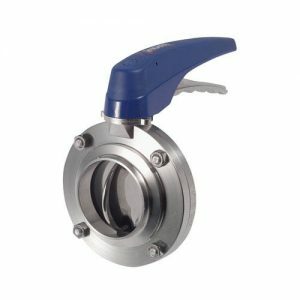 Hygienic butterfly valves from INOXPA feature a compact and robust design, low-pressure losses, several easily interchangeable manual handles, and pneumatic or electric actuators. INOXPA sanitary ball valves have two-position handles, half-bodies exchangeable with any pressure type and a surface finish complete with a hygienic polish. To find out more about INOXPA hygienic ball and butterfly valves, contact BM Engineering Supplies directly on 0141 762 0657 or email sales@bmengieering.co.uk.